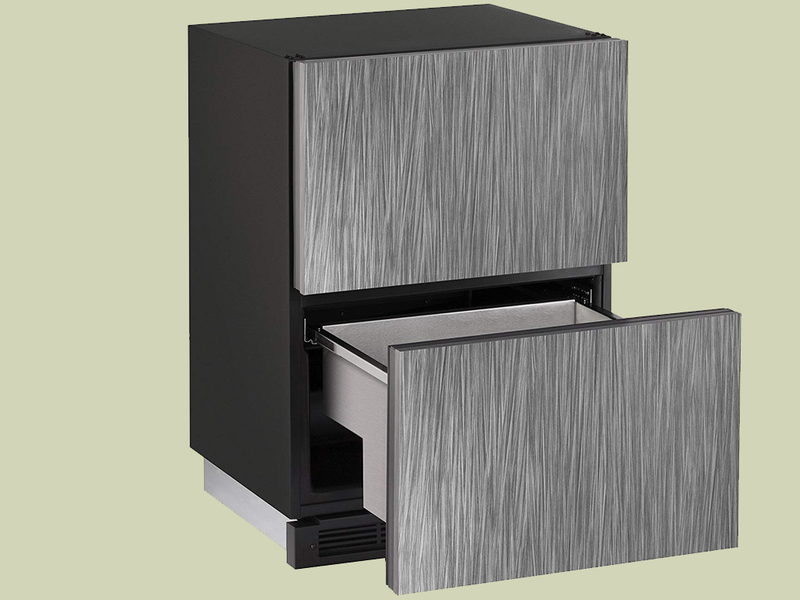 This Under Desk Two Drawer Office Refrigerator is cool because it will blend in perfectly with your office decor. It looks like it is a set of regular office drawers and it designed to fit neatly under your desk. You will find that people will not even know that you have an office fridge because it simply looks like a cabinet. If you wish to have a refrigerator in your office but still ensure that your work environment looks professional then this is a good choice. You can place it anywhere in your office because the style means that it will essentially be camouflaged amongst the rest of your office furniture. Having a fridge in your office is convenient. This is because you will have a place to store snacks and cold drinks that is accessible. There is plenty of room in this fridge because it can hold up to 150 cans of drink. The temperature range is 34°F - 45°F. 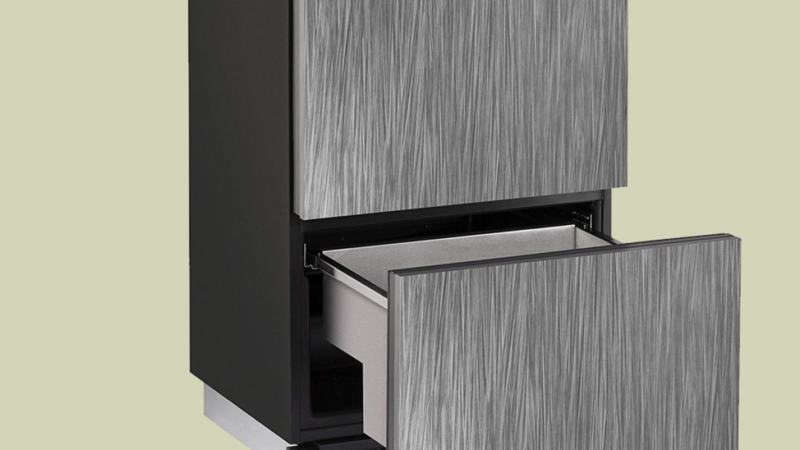 In the fridge are drawers made from stainless steel and they are fully extendable. The refrigerator measures 23.3 inches by 24 inches by 34.1 inches. This is a great item for students, teachers, professional offices and home offices. The neutral color means that it is likely to suit your existing decor perfectly. You will never need to leave your desk to get a cold drink again.